Responding to the report, a US State Department spokeswoman said the Trump administration has received “multiple requests from the Turkish government… related to Mr Gulen”, and continues to “evaluate the material that the Turkish government presents requesting his extradition”. But Heather Nauert insisted that “there is no relation” between the Gulen extradition issue and Turkish pressure on Saudi Arabia over Khashoggi’s murder. The White House “has not been involved in any discussions related to the extradition of Fethullah Gulen”, she said. Saudi Arabia is considered critical to Trump’s effort to curb Iran’s growing influence in the region. A senior Turkish official told Reuters that Turkey’s extradition request and its Khashoggi investigation were separate issues “not connected in any way, shape or form”. Gulen’s US-based media adviser, Alp Aslandogan, said he had not been informed of any new US inquiry. According to the NBC report, Trump officials had issued directives to the Justice Department to reopen Turkey’s case for his extradition. 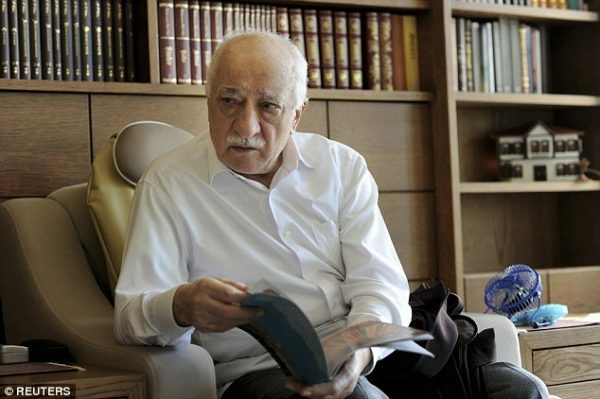 When Justice Department officials replied that there was no new evidence and the case was closed in 2016, White House officials sent a request to the Homeland Security Department requesting information about Gulen’s legal status in the US. Career US officials at the Justice and Homeland Security departments pushed back on the White House requests, NBC reported. “At first there were eye rolls, but once they realised it was a serious request, the career guys were furious,” a senior US official told the network. The NBC report came as the US imposed economic sanctions against 17 Saudi officials on Thursday for their role in the Khashoggi killing. The individuals included a top aide to the Saudi crown prince, Saud al-Qahtani, dubbed “Mr. Hashtag” and “Saudi Arabia’s Steve Bannon.